• Build, develop and maintain high performing team committed to achieving the agreed targets/budget by obtain a thorough understanding of the business unit's strategy and explain it to team members in such a way that they understand the contribution they have to make. • Take accountability for the relationship with the client, across all hierarchical levels, which incorporate integrating and coordinating all contacts between the bank and the client. • Ensures insurance covers on business with credit facilities and securities are in place and up to date. • Monitor performance of clients' accounts and proactively propose remedial measures where applicable. • Review the portfolio from a compliance perspective on a monthly basis and ensure that all documentation required for all client including those related to KYC, AML and SANCTIONS are up to date. 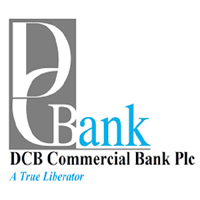 • A minimum of 5 years' experience covering core banking departments in the Branches. • Degree in Economics, Business Administration or related profession. A Masters Degree will be an added advantage. • Must have an experience of at least 2 years in credit processes. • Tangible knowledge of Microsoft Office Application, specifically Excel and Word. The Chief Manager Treasury & Business Development will manage the Bank's treasury and business development activities, to mobilize funds and diversify sources for the bank to achieve an acceptable rate of return on the capital of the Bank. In addition, the Chief Manager Treasury shall take leadership in Liquidity Management through soliciting funds to meet obligations including maturing FDR and cash withdrawals for smooth banking operations of branches. The person is also expected to oversee the Investment portfolio, including preparation of investment proposals for ALCO members to approve before committing funds to debt securities. Other than that, the candidate is expected to monitor and ensure compliance with all regulatory requirements on a day to day basis. • Develops and implement the Asset and liability, Liquidity Risk and maturity Risk management programmes. Maintains records of receipts and disbursement of funds and orders received from departments and branches and implement them in accordance with the banks policies and procedures. • Determines the bank's cash and liquidity position for the purpose of assessing the ability of the bank to readily access the cash needed for funding its business activities and meet obligations as they fall due. • Monitors the bank's cash and liquidity position and ensure that ·the treasury risk limits and statutory reserve requirements and adhered to on daily basis. • Monitors the interest rates on daily basis to ensure the rates are consistent with bank policies. • Manages wholesale transactions to ensure that authorized transactions are acted upon on a timely manner. • Holder of a degree in Finance, Economics, Business Administration or equivalent plus a post graduate degree in Banking, Finance, Economics, Accounting or equivalent qualifications from recognized institutions. Possession of a CPA (T) qualification will be an added advantage. • A minimum of 5 years experience on Bank Treasury Management as well as proven management and administrative experience at senior management position in a reputable banking. Closing Date: Deadline for submission of applications: 27th April 2018.